A summary of our latest research publications is provided on our publications page. Below we describe some of the highlights of ongoing research involving institute scientists. In a paper published in PLoS ONE entitled Classification of crystallization outcomes using deep convolutional neural networks, the Machine Recognition of Crystallization Outcomes (MARCO) initiative has assembled roughly half a million annotated images of macromolecular crystallization experiments from various sources and setups. State-of-the-art machine learning algorithms (Artificial Intelligence) were trained and tested on different parts of this data set. More than 94% of the test images were correctly labeled, irrespective of their experimental origin. Because crystal recognition is key to high-density screening and the systematic analysis of crystallization experiments, this approach opens the door to both industrial and fundamental research applications. The paper was a collaboration between the Hauptman-Woodward Medical Research Institute, GlaxoSmithKline, Duke University, the University at Buffalo Center for Computational Resources, Google Brain, the Collaborative Crystallization Center in Melbourne, Australia, and the University of York in the UK. MARCO includes these members and other major pharmaceutical, crystallization, and instrument manufacturers. The code is publicly available. This development paves the way for an analysis of data from almost 20,000 proteins studied at the Hauptman-Woodward High-Throughput Crystallization Center, a service and research center available to the academic research community. A new book published by Oxford University press covering Small Angle Scattering is now in press. 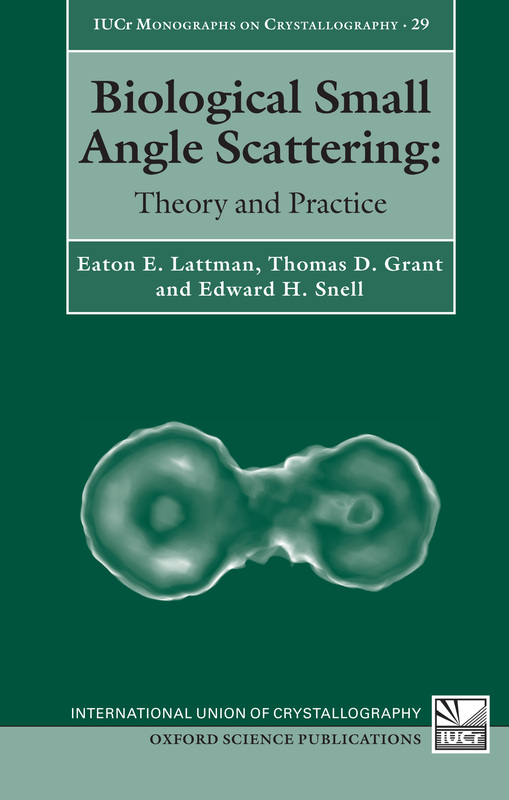 The book entitled Biological Small Angle Scattering: Theory and Practice, by Eaton Lattman, Thomas Grant and Edward Snell, is part of an International Union of Crystallography series that provides in depth knowledge of specialized topics. Small Angle Solution scattering (SAS) is increasingly being applied to biological problems. It is a complementary technique that, when applied in appropriate circumstances with carefully structured questions, can provide unique information not available from other techniques. While small angle solution scattering has been around for some time, a confluence of recent developments has dramatically enhanced its power. Intense third generation X-ray sources, low noise detectors, development of new algorithms and the computational power to take advantage of these have all matured, and use of free-electron X-ray laser sources is on the horizon. Whole new classes of experiments and analyses have been created as a result. These include the generation of molecular envelopes, the ability to do time-resolved studies, and the ability to account for structural changes using modelling based on the SAS data. The technical improvements have also reduced the amount of time and material needed to carry out an experiment. Beamtime at synchrotron sources is in demand, workshops on the subject are popular and researchers adopting the technique as part of their repertoire are growing. With these in mind, this book was written based on the experience of HWI scientists to guide structural biologists who may wish to adopt the technique, understand its strengths and weaknesses or just have a general interest in its potential. The book is available from Oxford University press or all good booksellers. Studying biological processes at X-ray lasers requires reliable and efficient delivery of fresh crystals across the beam over the course of an experiment. The X-rays used are so powerful that the sample is vaporized with each pulse. A large international collaboration introduced a double flow focusing nozzle to meet this challenge. It has a significantly reduced sample consumption, improving jet stability over previous generations of nozzles. The nozzle was demonstrated by determining the first room-temperature structure of RNA polymerase II, essential to life, revealing new structural details. The double flow-focusing nozzles were successfully tested with three other protein samples and the first room temperature structure of an extradiol ring-cleaving dioxygenase was solved from the improved operation and characteristics of these devices. 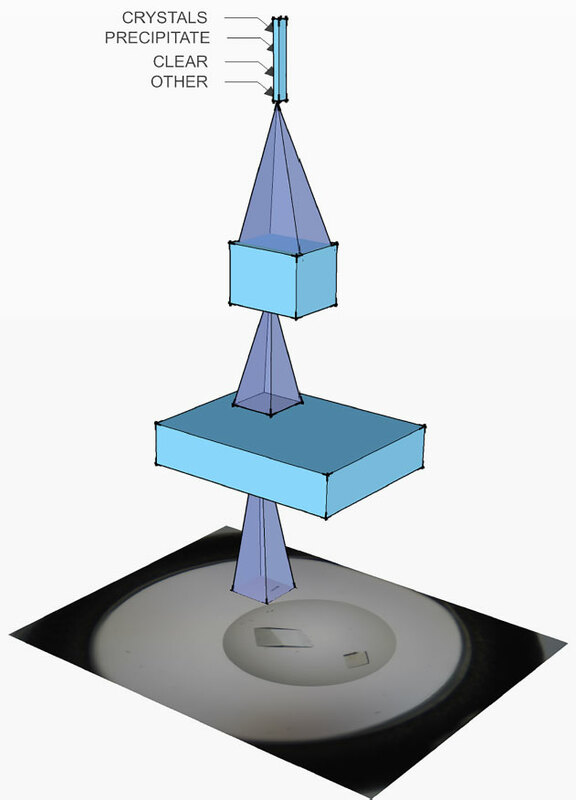 Much of our structural knowledge comes from experiments conducted at cryogenic temperatures. Studies enabled at room temperature can give new information critical to understanding mechanism. Reducing the amount of sample required can enable studies of systems that were previously challenging. 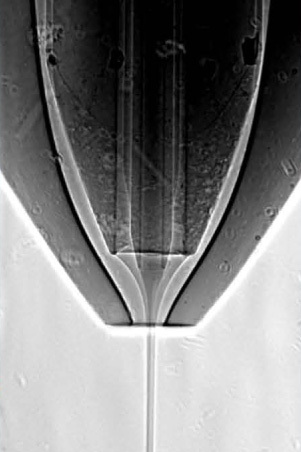 The results were published in a paper entitled Double-flow focused liquid injector for efficient serial femtosecond crystallography in Scientific Reports. 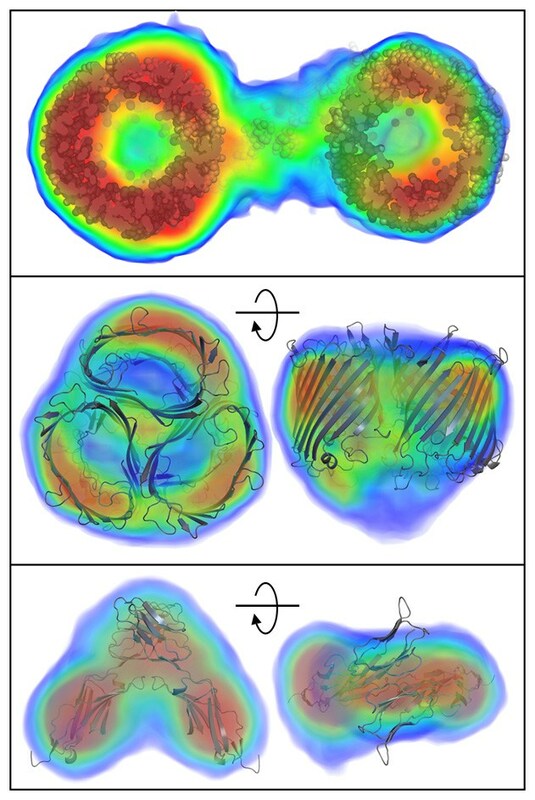 Using a novel iterative structure factor retrieval algorithm, electron density can be directly calculated from solution scattering data without modeling. The algorithm has validated with experimental data from 12 different biological macromolecules. This is a completely new and novel approach avoiding many of the assumptions limiting the resolution and accuracy of modeling algorithms by explicitly calculating electron density. This algorithm (DENSS) can be applied to a wide variety of molecular systems and has a webserver set up to process SAXS data. Full details are in the Nature Methods paper Ab initio electron density determination directly from solution scattering data by Grant, TD. volume 15, pages 191–193 (2018). A webserver called DENSSWeb implements the algorithms described.